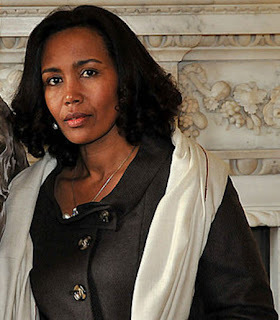 October 13, 2012 — Azeb Mesfin, the widow of former Ethiopian Prime Minister Meles Zenawi, has received a letter requesting her to vacate the National Palace for newly elected PM Hailemariam Desalegn and his family. Citing safety concerns and traffic congestion in the area where PM Hailmariam is currently being housed, officials have warned Azeb that their patience is running thin and for her to accept moving into a new villa in exchange for her cooperation. The former first lady and TPLF politbureau member, was supposed to have left the palace in early October, according to state officials. Sources say the grieving widow is staying in the palace primarily out of safety concerns of her own. The heavily guarded National Palace is said to accommodate over 100 rooms and was recently renovated and refurnished by an Italian company, headed by architect and interior designer, Francesco Saverio Anticili.